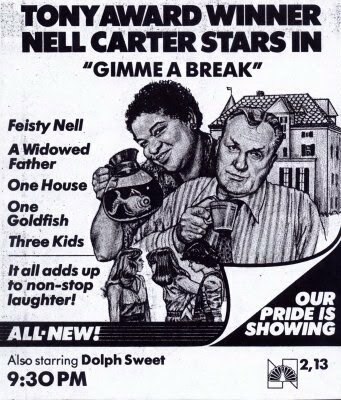 Singer/actress Nell Carter was born Sept. 13, 1948. She died in 2003 at age 54. Carter won a Tony and an Emmy, both of them for Ain’t Misbehavin’ (on Broadway and TV respectively). From 1981 to 1987, she starred in the sitcom Gimme a Break!, in which she played a housekeeper and surrogate mother to the family of a widowed police chief. I never really liked Gimme a Break! But I did like The Mary Tyler Moore Show—and in this video, Carter performs a soulful rendition of the MTM Show theme song. I saw the show several times but always felt she was a poor man’s knockoff of the sassy housekeeper, which Marla Gibbs played so well on The Jeffersons. But RIP Nell. The sitcom really wasted her talent. She should have had a variety show instead. Yes. We need variety shows now, too.